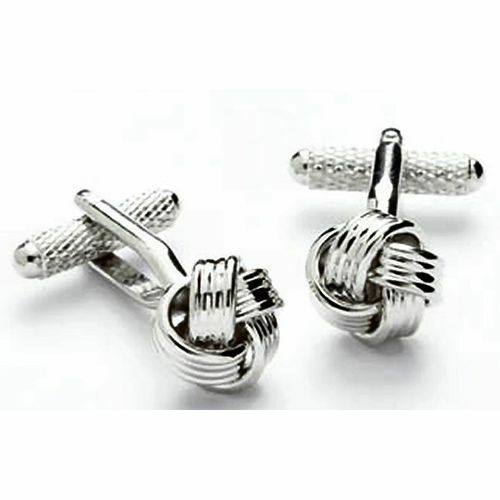 Silver Knot cufflinks in a polished silver finish. Supplied in a presentation box. A favourite for Wedding dress cufflinks or for a formal do.